A pleasant excursion to discover a charming medieval town perched above the sea and immersed in the atmosphere of a glorious past. We board our coach and ride along the northern coast of Sardinia, a wild coastline shaped by the wind. We stop to admire the peculiar elephant rock, which was named after its shape, similar to the head and trunk of an elephant, and has been an object of great interest since ancient times. Two burial chambers where excavated inside it during the Neolithic era. 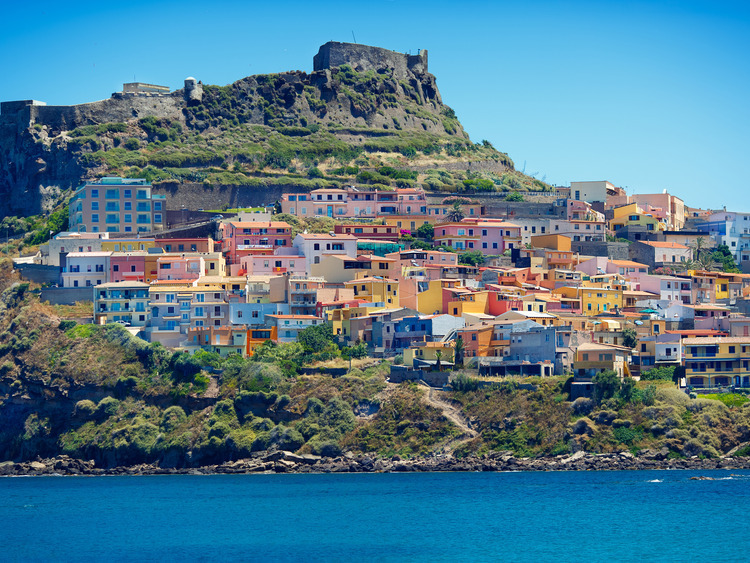 We then reach Castelsardo, a fortified town dating back to the 12th century, when it was founded by the maritime republic of Genoa. Perched on a promontory, it offers spectacular views of the Gulf of Asinara to the West and of the Gallura peaks to the East. We venture into the historical centre of this enchanting medieval hamlet which still preserves its defensive military layout. with its impressive partially-preserved fortified walls and typical alleyways and steps. We admire the 16th-century Gothic cathedral, perched on top of a cliff with a bell tower that used to be part of the old walls. During our tour of the town, we can appreciate the artisanal traditions of Castelsardo, renowned for the production of baskets made with dwarf palm leaves and numerous other local products that cannot fail to charm the most curious and attentive visitors. Places are limited, so please book early. Walking up and downhill is involved in this tour.